This astonishing small 3-foot mummy was originally found in 1911 by archaeologists in Hawara, Egypt and named the Garret Mummy. There’s a detailed portrait covering the face and the linen wrappings were intricately woven in a geometric pattern of overlapping rhomboids that framed the portrait. It’s an image of a little girl with a serene look on her face, dark hair tied back, wearing a dark red tunic and gold jewelry. Entombed besides her in the same underground chamber were four other mummies. 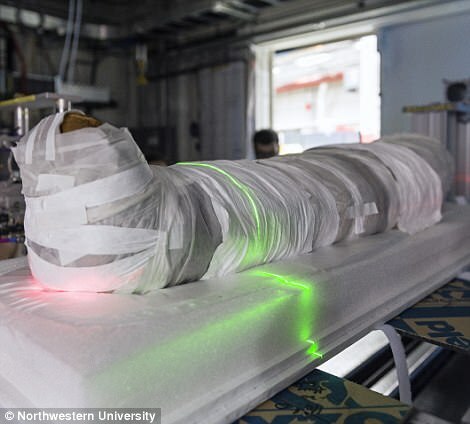 This recreated a 3D map of the mummy’s entire structure allowing researchers to confirm she was a 5-year-old girl. The Garrett Mummy’s portrait looks different than the others, like using a unique style from another artisan or workshop. An analysis shows the painting was made with beeswax and pigments. 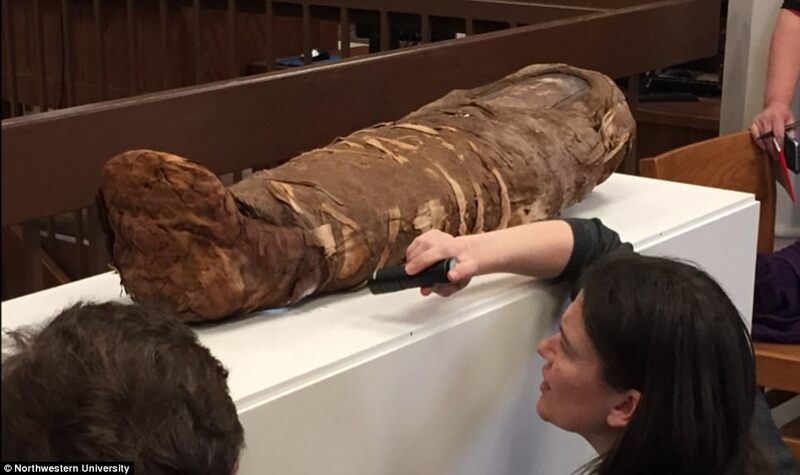 These clues lead researchers to believe this mummified girl belonged to an upper-class household who had the wealth and culture to preserve their child in such a way. Since there were no obvious signs of physical damage, it’s more likely she died from a disease. The mysterious void found in the Great Pyramid of Giza is one more example of this, and I can’t wait until they try scanning those crystal skulls!